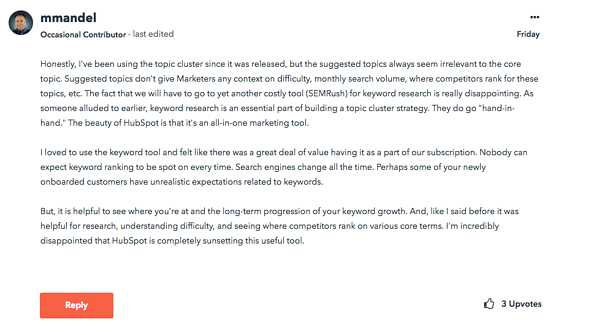 If you haven't heard the news, HubSpot is sunsetting their keywords tool. The company has spent the better part of the last 10 years preaching the value of keyword-based content for SEO, but the landscape has changed so much that tactics and tools need to adapt as well. 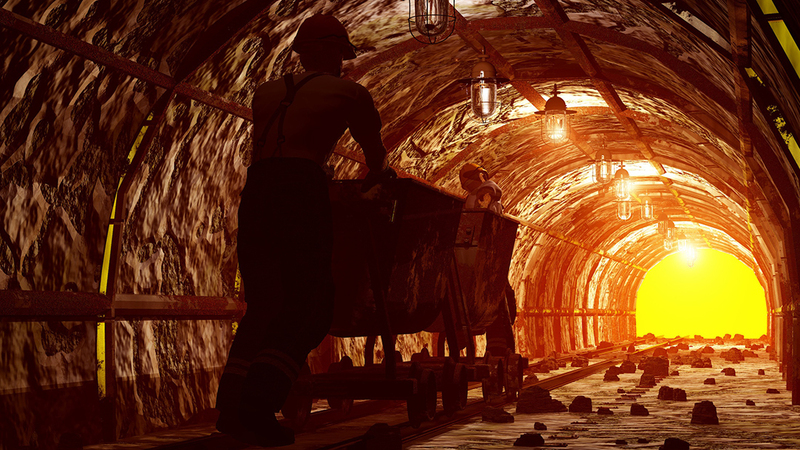 While the news and announcements from HubSpot have been largely optimistic and favorable about the Content Strategy tool, there are many users that are less than thrilled about the news. 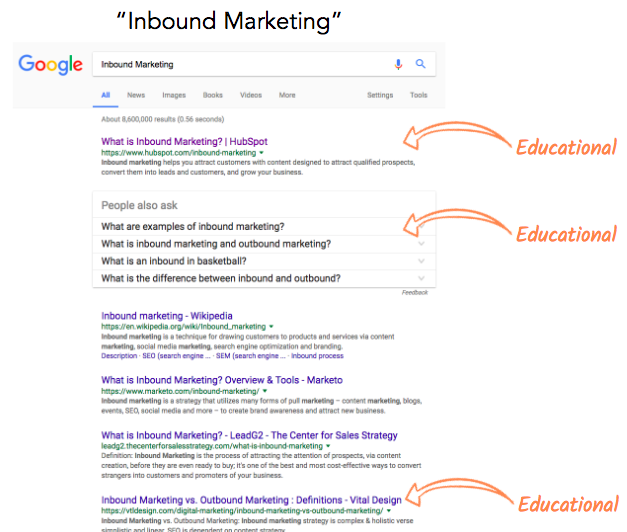 It seems that HubSpot is jumping feet first into content pillars and topic clusters to keep up with recent changes from Google, but we (and many others) still find plenty of value in keywords — some of which goes beyond pure SEO. While HubSpot's existing keyword tool has some major problems (which we will get to in a little bit), the tool has remained a staple for many companies and agencies and has been a solid place to better understand how your target audience uses search engines. But here's the reality guys, the existing keywords tool is going away on May 31 of this year, so it's time to shift our priorities, create new processes and rethink the way we use this data. Below, I've outlined what you need to know to understand these changes and make a decision about how your company will move forward with creating a new website SEO process. The truth is, SEO is changing rapidly. SERPs are quickly changing from a simple, exact match understanding of SEO to more complex, machine-learning driven algorithms that test and measure different aspects of search to optimize for user engagement. "As search engine algorithms have become more advanced in helping searchers find the products and services they are looking for, search numbers for specific keywords have become less important," says Evan Dean, Principal Channel Consultant at HubSpot. "Search engines are no longer making a one-to-one connection between a specific keyword and a single page." In the last few years, search-savvy marketers have noticed that after years of content marketing efforts, websites become bloated and overloaded. With no process to keep overlapping content in check, many companies started to notice negative effects on their SEO results. Late last year HubSpot started promoting the idea of content pillars and topic clusters heavily. This content process created a systematic approach for structuring existing content (and creating new content) in a way that helps search engines better understand the relationships between your articles, posts, and pages. With Google's focus on user intent, this process helps search algorithms understanding the relationships between the pieces of content on your website. Ultimately, the system that was based on creating a one-to-one connection with a page and a keyword is becoming outdated and incomplete. HubSpot believes that it's important that we start to shift our mindset and the tools we use to better accommodate the changes that are coming in the SEO world. The future of SEO is ever-evolving, but as marketers, we need to stay nimble enough to adapt to any changes that come our way. For more of an in-depth view of HubSpot’s vision of the future of SEO, I recommend this podcast as well as the video below. At the core, understanding what phrases your customers use and how they search for products and services online is still VERY valuable. Keyword research started as a way to connect what users were searching for with content that fills that need. To put it bluntly, keyword research is a central part of market research for any company that hopes to be relevant online. Kevin Page, an Account Strategist here at StoryTeller, puts it this way, "HubSpot's breakup with their proprietary keyword tool isn't meant to say that keywords should be abandoned. From an organic SEO perspective, keywords will still have an impact on the way search engines index your pages." Doing the proper research to understand how your target audience interacts with search engines and what their intentions are with different queries is always going to be important. We just need to start shifting where and how we will do that research and what our tactics will be based on the data that's found. Start by deciding what your prospects are looking for (education, purchase, comparison, etc), and then win their trust by creating unbiased, informative, relevant content. 3. What Tools Can I Use Now? While plenty of people will miss the ease and simplicity of having the tool directly in the HubSpot platform, there are a lot of other tools on the market that can help you get much of the same information. "We know the tool has changed a lot over the last several years, but the Keywords Tool still had quite a bit of value to a lot of companies. There are a lot of power tools out there, but they definitely take a deeper dive," says Joe Jerome, Founder of website development agency, Brand Builder Solutions. Google Search Console - This a great tool for understanding what keywords are already driving impressions and clicks. 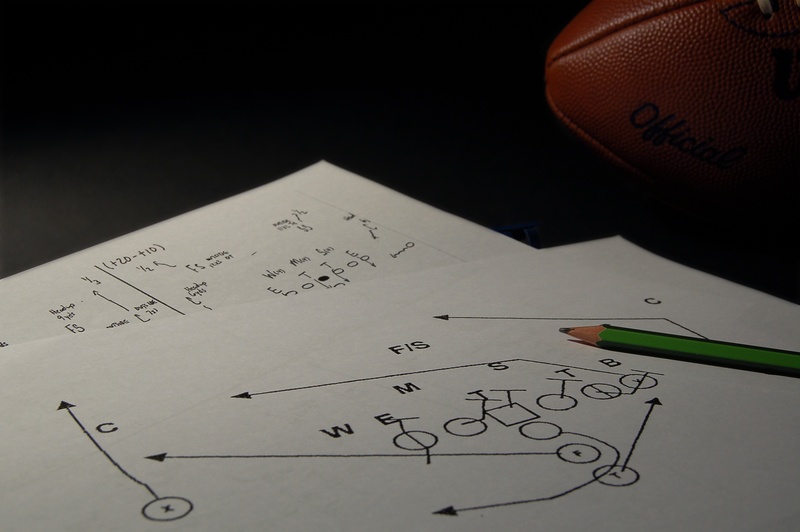 By analyzing this data you can find great ideas for optimizing your content for better results. Keywords Everywhere - This handy little Chrome extension is the perfect way to add keyword research to your online searching process. 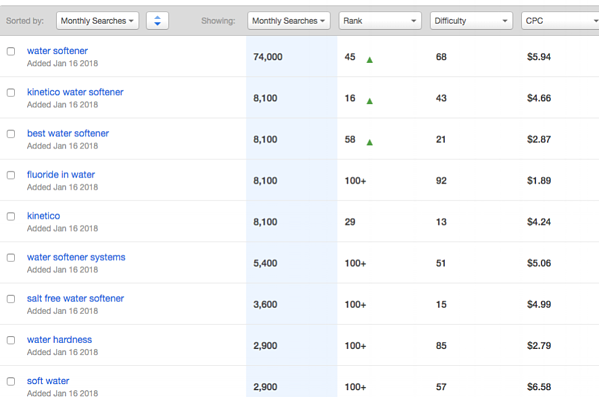 It displays monthly volume and keyword difficulty right in the search bar. Answer the Public - A great visual tool to connect keywords with questions, this tool is really useful in helping you plan out topic cluster content. LSI Graph - While you are highly limited to the number of searches on this tool, it's a good place to generate new ideas. These paid tools do not come cheap, but if you are a company that is used to having data and insights on your keywords, you might want to consider how you might be able to justify adding these tools to your mix. SEMRush comes most widely recommended from agencies and in-house marketing departments alike, but take your time and do the research to figure out which tool will fit your needs the best. The truth is that keyword data is not infallible and Google likes to keep as much of it to themselves as they possibly can. Back in 2011, the search giant stopped passing along keyword-specific website traffic data for anyone who was signed in to a Google account (so basically everyone). While keyword research is a really important tool in a marketer's tool chest, it's really important that we understand where the data falls short so that we can take it with the appropriate grain of salt. So with that in mind, here's a basic breakdown of the common sets of keyword data, including their major strengths and weaknesses. Visits: This number refers to the number of trackable visits attributed to a specific keyword phrase. Prior to 2011, this was an incredibly useful metric that allowed marketers to see which keywords were driving the most traffic. However, since 2011 this has been largely unusable data. Rank: This number refers to your ranking position on Google. For example, if your rank is 1-10, you're likely to find your result on the first page of the SERPs. While this can be a pretty useful metric for some companies, it does come with some pretty large caveats. These results are now largely personalized and could be completely different depending on location, searching preferences and more. The ranking results are now driven by machine learning and are constantly testing the best results for user experience and engagement with results. *Quick note: Visits and Rank are the two main metrics that HubSpot is pointing to as the reasons why they believe their tool is not providing tremendous value to users today. Monthly Searches or Keyword Volume: This metric refers to an estimate or average of the number of times each phrase is being searched on any given month. While this number is a good leading indicator, it has some flaws. This metric is not great at accounting for keywords with seasonality. Instead, most tools take the total number of searches in a year and average them out over a 12 month period. While this is an okay method for most keywords, there are definitely industries that need to be aware of this fact. The data can be misleading. The Wizard of Moz, Rand Fishkin, recently released a Whiteboard Friday video that details why Google's Adwords' numbers are unreliable. And while most people don't do their keyword research in Adwords, many companies use that data to feed their tool. So it's important to know that the tool your using has good, trustworthy data. It's important that we not take this data as though it's the law, but instead try to use it as a research factor. By understanding which keywords are more popular, we can get a better sense of the way our buyer personas use certain terms and phrases and what content that we create is really stuck in our own brand messaging. Difficulty: This number is based on a rating from 1-100 and it speaks to how difficult it will be to gain organic ranking for a particular keyword. Again, this data is largely subjective and there are many factors that influence how a particular piece of content might rank organically. This is another metric that can be a good leading indicator but a company's success can vary based on many different factors. This is a major change for HubSpot users who spent a lot of time in the keywords tool, but as marketers, we need to continue to learn to be comfortable with the ever-changing landscape that we are a part of every day. We have to learn to better ride the waves as they come, adapt when new opportunities arise and leverage them to the best of our ability. I don't know exactly what to expect for the future of SEO and content marketing in 2018 and beyond, but I'm starting to learn that whatever I expected, something different will probably find its way to the limelight. What are your thoughts about all of the recent changes to the HubSpot tools?